Previous volumes featured well known acts like Freezepop, NASA, Heaven 17, White Town, Blow Up & Deborah Harry, and Soviet; Tycho Brahe was previously included on volume 3 of the series way back in 2007! This new volume features great acts such as ScentAir Records label-mates SPREADING POINT and Empire State Human, as well as other established acts in the genre like WAVE IN HEAD, Color Theory and ATTRITION. 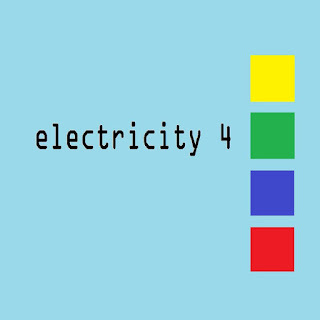 "Electricity 4" was released May 22 2018 on all major digital platforms!